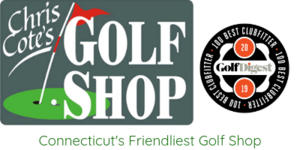 The Connecticut State Golf Association is pleased to announce that Chris Cote’s Golf Shop will increase and expand its longtime sponsorship of the association’s One Day Tournament series in 2019. The CSGA’s One Day tournaments, numbering fourteen this year, provide access for players of all abilities and ages to some of the finest courses and clubs in the state. Chris Cote’s became the sponsor of the series in 2013 and established the One Day Player of the Year Points race in 2014. Through its sponsorship Chris Cote’s not only supports the cost of running the events but also provides prizes for winners of the points race. Said CSGA Executive Director Mike Moraghan: "Chris Cote's entire operation has been a real success story in Connecticut golf circles, and it's been great having them on board with the CSGA in sponsoring our the One Day Player of the Year Points Race. To further expand our partnership speaks to the friendship and the commitment to excellence that we share. We couldn't be happier with this relationship and look forward to having a great One Day Season Sponsored by Chris Cote's Golf Shop." One Day Tournament sites this year include: Wethersfield C.C., Stonington C.C., Twin Hills C.C., Hop Meadow C.C., Manchester C.C., Tallwood C.C., Toptstone G.C., Gillette Ridge G.C., Indian Hill C.C., C.C. of Waterbury, the G.C. at Oxford Greens, Heritage Village C.C. and Ellington Ridge C.C. The One Day Championship will take place at Shennecossett G.C. in Groton on October 8.